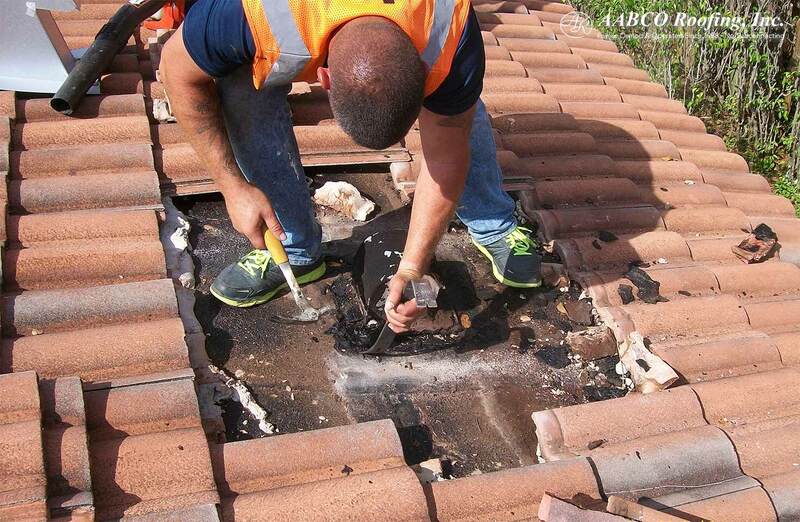 If you are looking for roofing companies to get your roof repaired or have it completely replaced, you probably feel like you are facing a daunting task. Many questions will be going through your head, such as who to trust, what to look for, and how much will all of this cost. While this short guide is not definitive advice when it comes to everything roofing, it does cover at least five points that you can use when interviewing a roofing company prior to dishing out your hard-earned money. Unscrupulous companies will often lie about their certifications and insurance coverage. It is therefore important that you don’t just take their word for it, but also do a check on them yourself. Visit Florida DBPR (Licensing Portal) and do a search for the company in question. If they are not listed as having a Certified Roofing Contractor license – or if their license is not current – do not use that company. Ask the company for a copy of their insurance certificate. Make sure the name of the insured contractor matches the company in question. If none of the above works out, walk away! It will not be worth the time and trouble dealing with a company that does not have the correct credentials and insurance coverage. 2. Will the Roofing Company Sub Contract Your Job Out? They have direct control over their workers. Often sub contracted workers have little experience with no track record to go by. Roofing teams that are used to working together will work better than newly assembled teams. You pay for what you get. If a roofing company is paying minimum wage to its sub contracted workers, expect a subpar job to be done on your roof. 3. How Long Has the Roofing Company You Are Looking to Hire Been in Business? Look at the principal address as well as the authorized person(s) detail. This will let you know the person’s name and position within the company. Here are a few important components to check on. Not all shingles are made equally. All major manufacturers have specialty products that are the best matched for the South Florida needs. Make sure your roofing company is not cutting costs here. If you have a flat roof, ensure that your roofing company is using a commercial grade modified bitumen, you will thank us later, when your roof lasts longer than three years. 5. Will Your Roofing Company Replace or Repair Rotten Plywood? A good rule of thumb is “if in doubt, replace”. That’s the mantra to remember when it comes to rotten plywood 2×4’s and fascia. We’ve seen contractors skip over marginal pieces, just to save a dollar or two. It becomes expensive having to replace your roof within the next five years, so rather spend the extra dollars on new plywood and have your roof last an extra five years without leaks.